Trojan:Win32/Sirefef.AB found by Windows Defender. description Trojan:Win32/Sirefef.AB found by Windows Defender. Hello everyone at GeekPolice, first let me introduce myself. I am BuffyAnimated this is a pretty cool site and I am very excited by finding it and learning more from others. The GeekPolice Academy sounds pretty awesome. I would like to learn more about it later after I get my current problem out of the way. I am currently posting these logs to the forum from my Windows XP Computer, but my Windows 7 Computer is the one which is infected with the Trojan. It can startup fine however, and I wouldn't have known I had a virus if it wasn't for scanning it. Now to get to my problem I am having, I have AVG 2013 installed on my Windows 7 (64-bit Pc) It gave me back some suspicious results that it never displayed before while running a scan in, "Safe Mode" Below are those results, it said a lot of my files including "My Documents, Pictures, Videos " were locked and could not be tested. 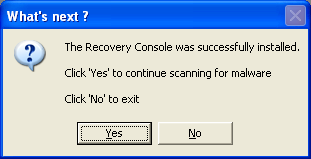 Which is unusual and never happened in the past to me while running a AVG scan in Safemode. The other thing it did was told me it found " Info Severity " infections. I looked into the AVG Manual and it told me, " Information Severity: Information or warnings, not real threats. Typically documents containing Macros, Documents or Archives Protected by a pssword, locked files, ect. " So, still being curious as to why these are showing up now when they never showed up before I ran the " Windows Defender " Virus scan which came with Windows 7. It told me, " Trojan:Win32/Sirefef.AB Alert Level Severe, this program is dangerous and executes commands from an attacker. Resources: File: C:\Windows\assembly\GAC_32\ "However, when I clicked to remove the Virus it said it had been removed, I re-ran the scan after a restart and it found the same Virus. Below are the Scan Logs from what I read in the " Read this Before Posting " Section of this forum. FOR SOME UNKNOWN REASON I COULD NOT GET MBAM TO DOWNLOAD FROM THIS FORUM SHOULD I DOWNLOAD IT FROM ANOTHER WEBSITE SUCH AS WWW.DOWNLOADS.COM? Mozilla Firefox 20.0.1 Firefox out of Date! description Re: Trojan:Win32/Sirefef.AB found by Windows Defender. If you still can't download MBAM, download it on your other computer and transfer it using the above method. Hello Dave, thanks for your reply I appreciate you helping me out with my MalWare issue. 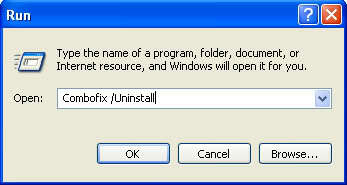 I can connect to the internet on both computers, however to download Junkware Removal tool I had to sign on to my Windows Xp Computer. Unfortinately, I had to use a usb, SD card to transfer the files due to my laptop not having disk reading capabilities. I did hold Shift down for 10 seconds tho, what exactly does that accomplish while inserting a Usb cable? here are my Scan Logs. MBam's Scanner said no infections were found. Below are the MBam's logs. Below are the Junkware Removal Tool Logs. Successfully deleted: [Folder] "C:\Users\B-Websites\AppData\Roaming\software informer"
Successfully deleted: [Folder] "C:\Program Files (x86)\w3i"
It prevents any malware that could possibly be on the memory stick being transferred to the computer. Hey Dave I need your help after running the ComboFix it wont let me open any of my browsers it says , "illegal operation that has been attempted on a registry key has been marked for deletion. " and it will not open any of my programs. Re-boot your computer and that should go away. Please download Rooter and Save it to your desktop. Double click it to start the tool.Vista and Windows7 run as administrator. Eventually, a Notepad file containing the report will open, also found at C:\Rooter.txt. Post that log in your next reply. Okay Dave, my system is working again after the restart. I can click stuff. in the last Combofix scan I did I noticed at the end of the text document. 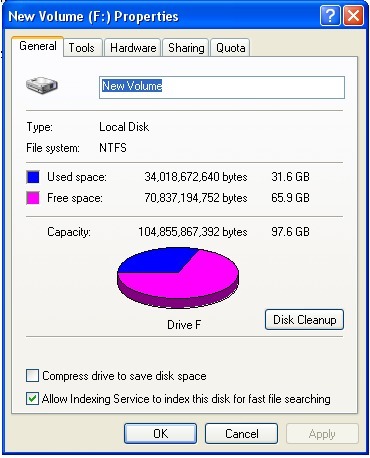 Does that mean that it took 370,331,648 Bytes away from my computer by running the scan? 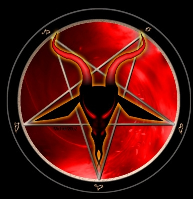 The owner of this computer strictly prohibited me from using Rooter because of the upside down pentagram with the ram's head inside, is there another program in which I can use? Thanks, Dave. How are my test results looking so far? Below are my Roguekiller Logs. Yes, but that will return to normal once we remove ComboFix later. That's ok. We'll skip that one. I'm satisfied with the other scan. Please run RogueKiller again and delete those items. How's your computer running now? My computer is running good as always, it was never running bad; I was just suspicious because my Windows Defender picked up the trojan. I still do not know whether it was a false positive or not. I wanted to keep my computer running fine tho, just in case. Okay, so you want me to delete the items in the RogueKiller, under which tabs? It has several tabs that I could delete stuff from, I want to make sure to follow your directions and not delete something I need. :smile2: After you respond and tell me which items to delete in RogueKiller, then I'll proceed with running the Online Scan from ESET. Thankyou for your understanding about skipping the Rooter scan. Run RogueKiller again and you should see four items with checkmarks on them. Just click on the delete button on the upper right hand cormer. Hey Dave, the memory loss from Combofix is bugging me pretty bad, can you can assist me in removing Combofix now; so I'll get the Memory it took away back? Okay ESET found 3 threats should I delete them all? Thank you SuperDave, I appreciate your assistance. Goodbye for now.